Nikon Corporation (Kazuo Ushida, President, Tokyo) and its subsidiary, Nikon Instech Co., Ltd., (Takashi Kimura, President, Tokyo) have entered into a strategic business cooperation contract for cell-related fields with Berkeley Lights, Inc. (hereinafter “BLI”) of the United States, headed by CEO Eric Hobbs, Ph.D. Established in 2011, Berkeley Lights Inc. (BLI) is an American corporation that provides products and services for biomedicines, genome analysis and cell treatment using its unique OptoSelect*1 technology. Nikon Corporation has great regard for the OptoSelect technology developed by BLI, as a result of which it invested $10 million in BLI in October 2016, and in February 2018, Nikon decided to invest an additional $30 million in the company. Meanwhile, Nikon has also entered into an exclusive sales agency contract with BLI for sales in Japan of the Beacon® platform, a multipurpose cell research and development platform, and Nikon Instech began exclusive domestic distribution in Japan from January, 2018. 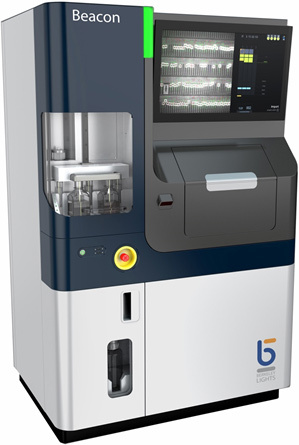 Using BLI's proprietary OptoSelect technology, the Beacon® platform is an innovative system that can shorten the time required for development of cell strains*2, which usually takes from several weeks to several months, to a mere few days by automatically culturing, assaying, and selecting individual cell strains. The combination of the Beacon of BLI, employing the OptoSelect technology, with the live cell imaging technology of Nikon will expand the solutions already provided by Nikon in cell-related fields such as the development of antibody drugs and regenerative medicines. This will enable Nikon to expand its business sphere, strengthen its market position, and provide new products and services in cell-related fields. In addition to selling the Beacon platform, Nikon will provide technical support and application corresponding to customer's request for Beacon platform in Japan. Nikon will strengthen its position in cell-related fields by providing workflows for cell line development and production, from cell quality evaluation solutions and preclinical sorting of regenerative and genetic treatment cells to market expansion solutions. 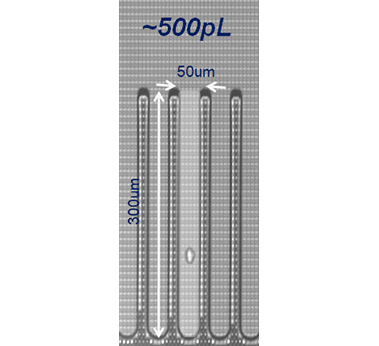 *1OptoSelect technology: A technology for migrating and isolating single cells into NanoPens of 1 nanoliter or less using variations in electrical charges in only those parts of the surface of a semi-conductor chip irradiated by precisely directed light. *2Cell strain: Culturing of a single cell into a clonal cell colony that is characterized by secretion, growth rate, cell size, and/or stability over a duration of time, by which clones of interest can be identified and exported for further expansion. 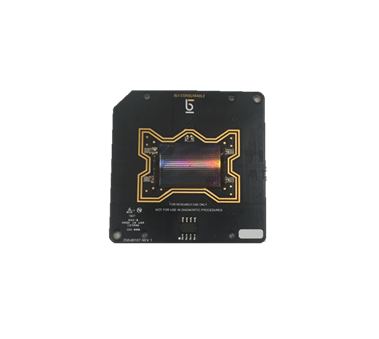 The multipurpose platform Beacon® for cell research and development uses a 50 mm x 50 mm chip created by the same fine processing technology used in the semiconductor manufacturing process. 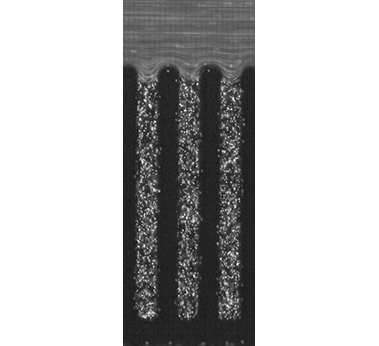 This chip is composed of a large number of fine culture tubes that are called “NanoPens ” where individual cells are isolated, cultured and monitored. Cells are constantly perfused in the NanoPens with media. A single cell can be isolated into each of these culture tubes, which total about 3,500, for culturing. Individual cells are cultured, assayed and clones of interest identified to be exported. 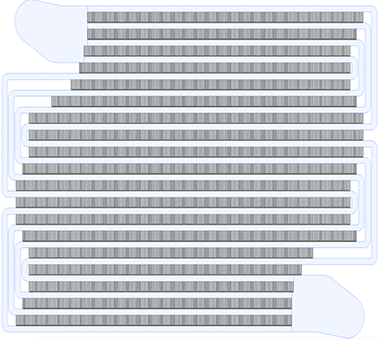 All steps are manipulated automatically and non-invasively by using the OptoSelect technology. Compared with conventional techniques that use many different laboratory devices and manual processes, the Beacon platform is an automated, stand-alone instrument and can accomplish the development of cell strains in only a few days, instead of the weeks or months that are presently required. The Beacon platform is an innovative solution that further reduces the time needed for research and development of new drugs and regenerative medicines thanks to its ability to significantly reduce workflow times. The Beacon platform: For Research Use Only. Not for use in diagnostic procedures. Beacon® is a registered trademark or trademark of Berkeley Lights Inc. of the United States in the United States of America and other regions and territories.